JASON JACK MILLER: COVER REVEAL! THE REVELATIONS OF PRESTON BLACK. COVER REVEAL! 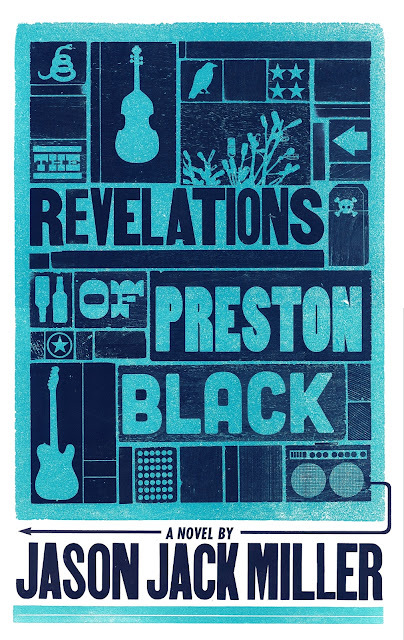 THE REVELATIONS OF PRESTON BLACK. The last time Preston went down to the crossroads, his best friend died and he nearly lost his brother. But Old Scratch doesn't take kindly to fools, especially not those who come knocking at his front door. And before all is said and done, he's going to teach Preston a thing or two about what it really means to sacrifice. Many thanks to all who participated! You will each receive a PDF of The Revelations of Preston Black. And the three lucky winners below will each receive a signed paperback of one of the books in the series. Many, many thanks to my Heidi. You're hotter than a pepper sprout! The cover is awesome. I look forward to getting REFVELATIONS in my hot little hands. Congrats! Many, many thanks, Lee. I truly appreciate your friendship on this crazy little trip. Proud to be a part of it! Can't wait! Glad you wanted to be a part of it! So glad the reveal was such a success. Spotify Playlist: Saturday Head in the Clouds.